Man, can these kids really move. Gone are the days of semi-circle formations in collegiate a cappella, well, at least when it comes to major performances. 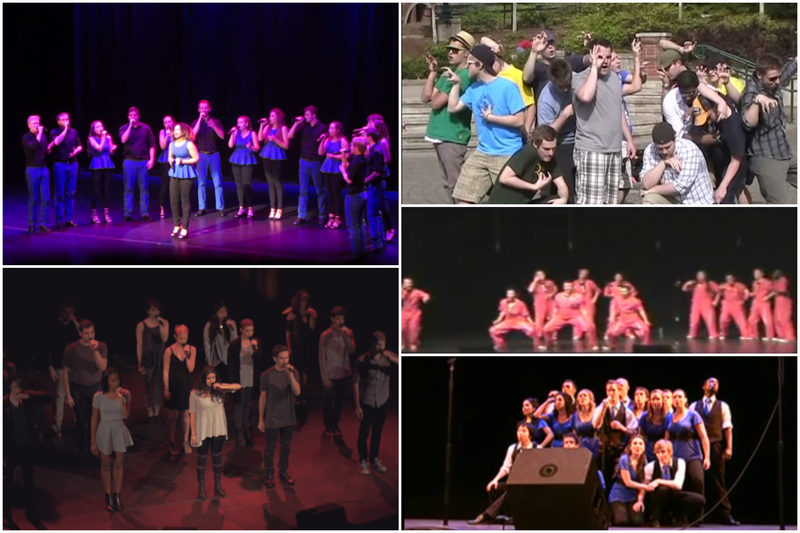 Nowadays, audiences want more from a cappella groups, and sorry to break it to you, but you have to do more than just sing to entertain. To truly deliver a show, you must consider every aspect of how entertainers, well, entertain. And part of that includes movement. Whether it's methodical formations or an all out dance-break, some type of choreography has to be considered when performing. In today's Top 5, these groups have "the moves like jagger" and showed them in a major way. Never before had a cappella seen an all-male group cover Lady Gaga the way On The Rocks did, and the group's creative choreography had a lot to do with it. If you ever wondered what it takes to win the Outstanding Choreography Award at the ICCA Finals look no further than Aquapella's 2017 ICCA Set. Each song had a distinct set of movements that just worked for each piece resulting in an emotionally charged performance that the audience loved. Fermata Nowhere can most likely be credited with changing the way a cappella groups should tackle movement in a cappella. Before their electric performance at ICCAs in 2009, choreography had been more or less approached in the same way. Their hip-hop routines and hilarious antics helped to change that. Just as a song should spark an emotional reaction, choreography should do the same. And this worked well for the Vassar Devil's 2016 BOSS set, which won them first place. While their routine is more of wonderfully crafted formations, it goes to show that any type of movement, when done right, can work in a cappella. Oftentimes in a cappella you hear about the voices becoming the instruments. Well, the Socal Vocals literally became the instruments in their 2008 choreographed set to "Feeling Good." Till this day, there has never been a routine quite as mesmerizing as what the Vocals produced here.